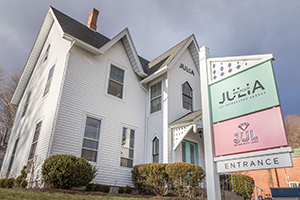 East Haddam, CT – Connecticut-based digital agency, Julia Balfour, LLC, is proud to announce its inclusion in the 2018 Inc. 5000 list of the fastest-growing private companies in America. “We are so proud to be on the Inc. 5000 list. When I started this company back in 2011, I used the Inc. 5000 list as a source for potential clients and a roadmap to profitability,” expressed Balfour. “I studied each winner; researching their business models, teams, and growth patterns. I couldn’t be more grateful to all of our clients for helping us reach this milestone,” she added. Julia Balfour, LLC is an integrated agency that specializes in print and digital marketing services for their enterprise and small business partners. Their unique approach to partnerships allows them to work alongside their clients or even function as their internal marketing department. The company uses a proven early adopter strategy to keep their products and services years ahead of the trends, including websites, intranets, video production, print, and social media campaigns. For more information about Julia Balfour, LLC, visit https://www.juliabalfour.com or email info@juliabalfour.com.